Very beautiful scarf. Thanks for sharing your pattern . You do great work.Love looking at your Blog. Nice scarf, thanks for sharing! 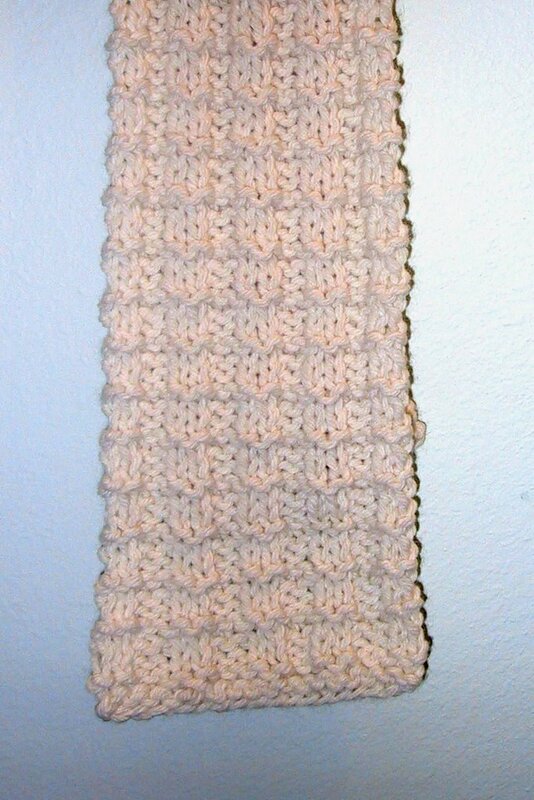 I love new patterns, especially scarves as I make them and donate them to one of our local cancer centers. Actually it's a very common stitch pattern. It is the same broken rib stitch patern. Just put up a little differently. 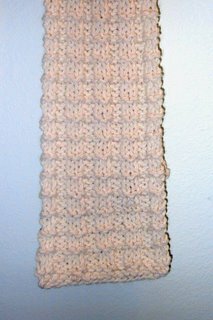 There are several versions of rib patterns most commonly used for sock cuffs, that make great scarves. Great Pattern, ended up making 2 for the red scarf project. one was shorter with 8 inch fringe. Cool! I love all you patterns! I just started my obsession with yarn last year and your site has been more than helpful! I aspire to be as skilled and talented as you one day =) and I absolutely love you pomeranian! Thank you for posting these great patterns they are much appreciated! I'm glad you are enjoying your knitting. It sure has brought me comfort and joy all these years.